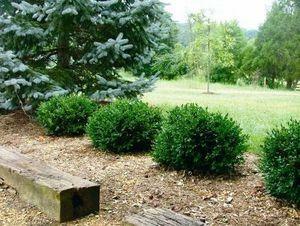 A broadleaf evergreen shrub selected for its compact rounded form. Leaves are glossy dark green turning a slight bronze green in the winter. Grow in full sun to partial shade. Avoid sites exposed to winter winds. Plants prefer cool, moist well drained soil. Useful as a low evergreen hedge, grouping or garden plant.